Can you help us build a map of creativity on Sheppey? 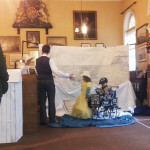 Can you help build a map of creativity on Sheppey? The idea is to make a hand drawn map of creative activity; individual people, makers, crafts, artists, painters, performers, places, venues, groups, clubs, public sculptures, places to visit, anything which inspires and celebrates culture on the Island. 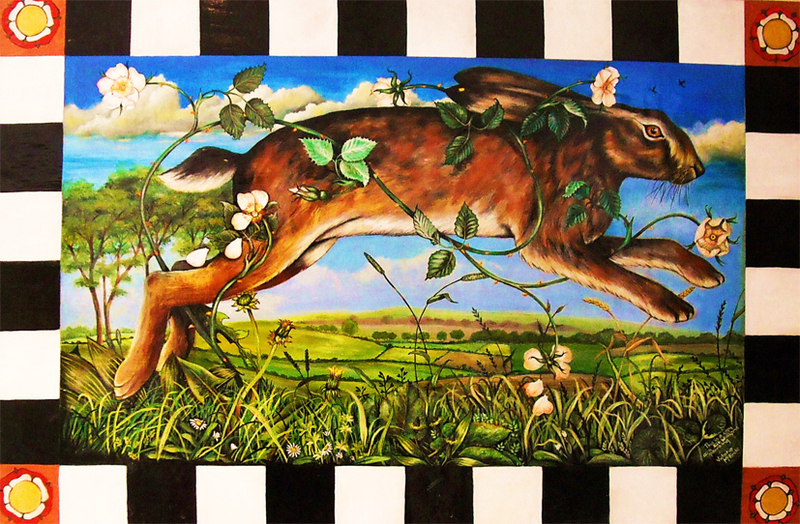 Painter Victoria McBride has kindly offered to be the main illustrator ( see her front page painting here on WOW magazine http://issuu.com/sue-davis/docs/wow_aug) . We have the funding to cover a print run of A2-A3 size (folded to A5) x 1000. The map will be launched as part of Promenade July 2015. On Saturday 7th February a new members meeting was held at the Belle and Lion in Sheerness. Topics on the agenda included; organisational development, artistic policy and potentional new projects. 2015 is set to be a busy year of creativity on Sheppey. 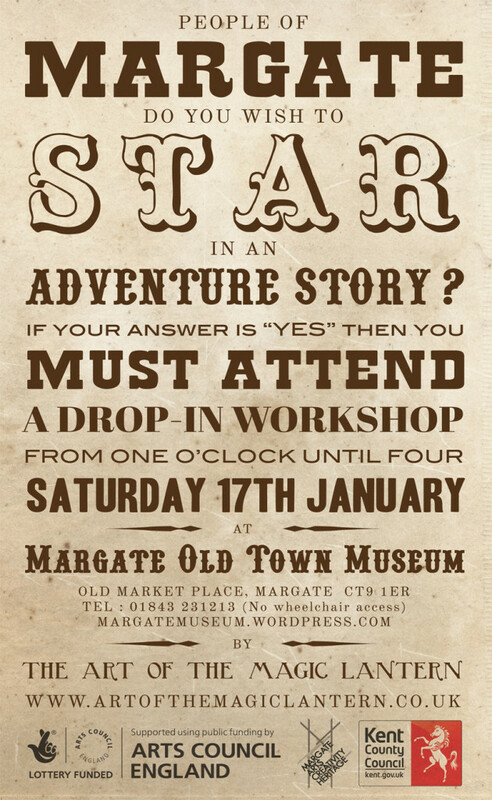 Margate Museum workshop went well. Thank you to everyone who took part. 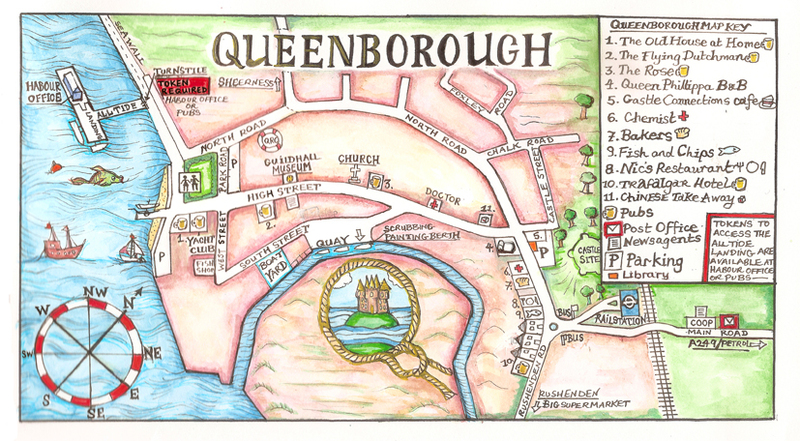 Island Projects has been working in partnership with Queenborough Harbour Trust to create a new map of the town to attract more visitors, especially those wishing to come by boat. The map features all important information for tourists, plus practical guidance for those needing maritime assistance. The work will be distributed at the London Boat Fair in 2015, and at various other event during the year. The Art of the Magic Lantern will work with communities across Kent to research local history, and make a series of contemporary fables using photographic slides. Local communities will be invited to help construct a site-specific story, which reflects local issues old and new. The performances have been touring a range of venues, often working outside of the traditional cultural venues to reach new audiences. This project is being produced by Island Projects. Island projects is an independent non-profit curatorial practice based in Kent which focuses on commissioning contemporary art in unusual public spaces. The delivery of this project is made possible with the support of local partners across Kent and funding from Arts Council England and Kent County Council. We will be working with a group of local young people from Gillingham to construct stories inspired by original glass slides. An event to commenorate the Goodwin Sands disaster with live music by Hare & Hoofe a punk/folk/prog band. The Christmas party presents a varied selection of musicians, enchanting performers and surreal puppeteers, entertaining comics and exotic artistes. 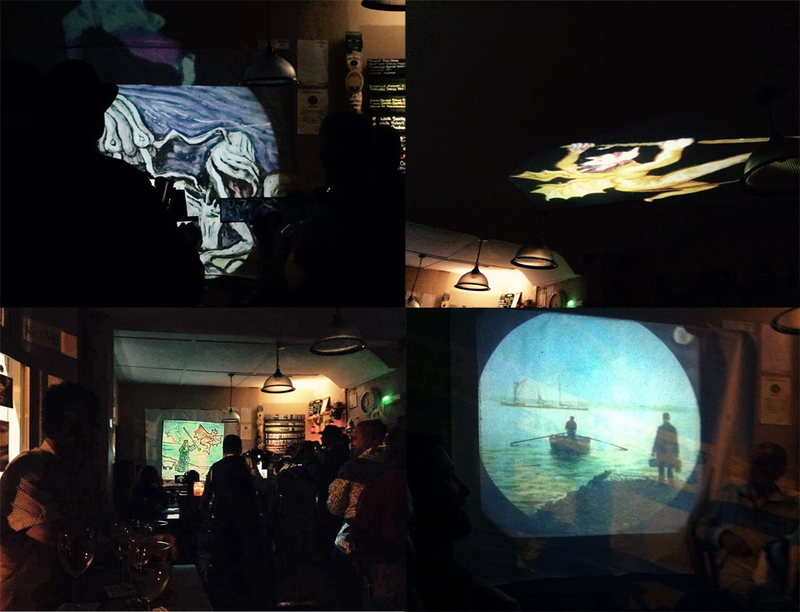 We are looking to produce a site specific set of photographic magic lantern slides with the help of the local community in Margate. Researching local folklore and maritime myth, we will construct our very own set and invite people to create their own fantastical characters in our tale. 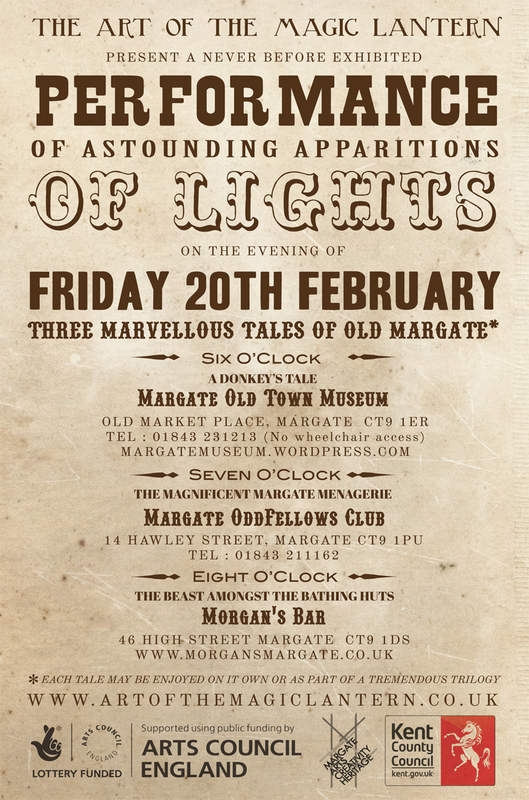 February 2015, various venues across Margate. 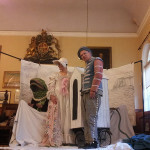 Live performances will tour the town, showcasing the newly produced Margate story. 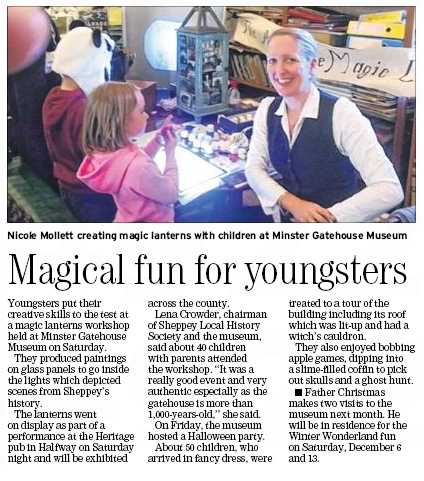 Nice coverage of workshop in Sheerness Times Guardian. 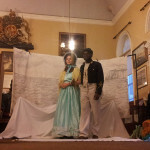 There were two evening performances in the Heritage Micropub at Halfway. 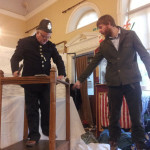 We were made to feel very welcome by the pub landlord Melvin, who entertained us with tales of the local community spirit whilst we set up. 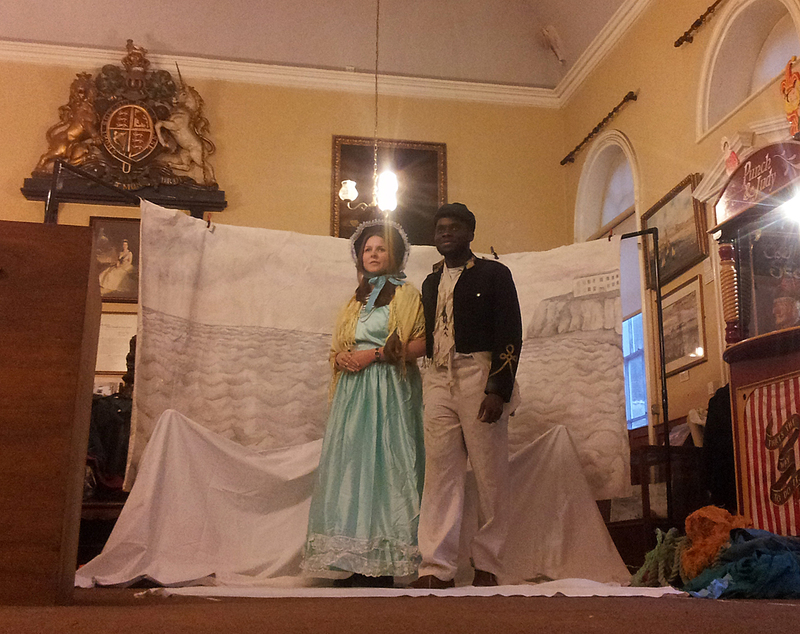 The first performance was mostly a family audience, whilst the second later performance was more adults. The pub was full on both occasions, with an impressive array of witches on show (both fictional and in the flesh). 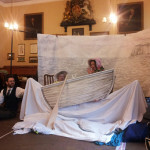 The Sheerness story was a fictional tale inspired by a series of key historical island events, including, Queen Sexburgha, the floods, the building of the Sheerness Dockyard, and the Pier. The tale links these moments in time through a mythical character called the Sea Witch. Members of the audience we invited to take part in chanting made up spells and making sounds with shell strings and plastic jellyfish. 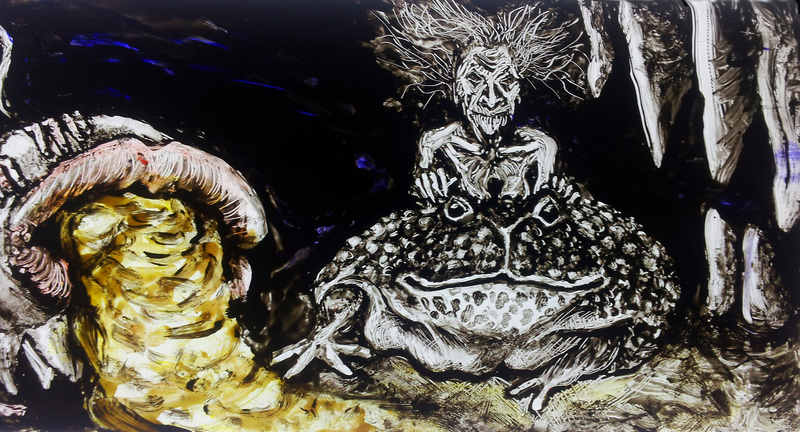 The performance ends with two very long hand painted slides which contain fantastical images of an underwater world of greed, vice and debauchery within which the Sea witches dwell. 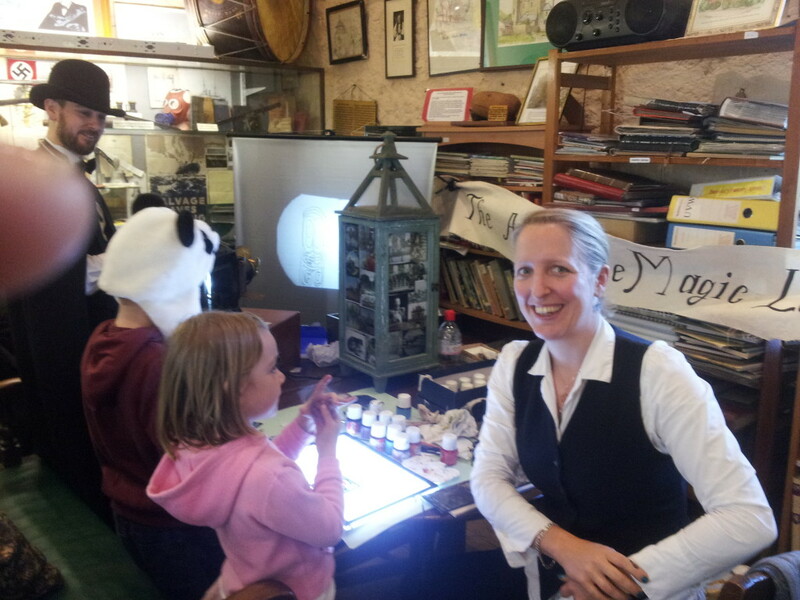 The workshop held at Minster Gatehouse Museum on Saturday 1st November was a great success. Families and adults joined in. 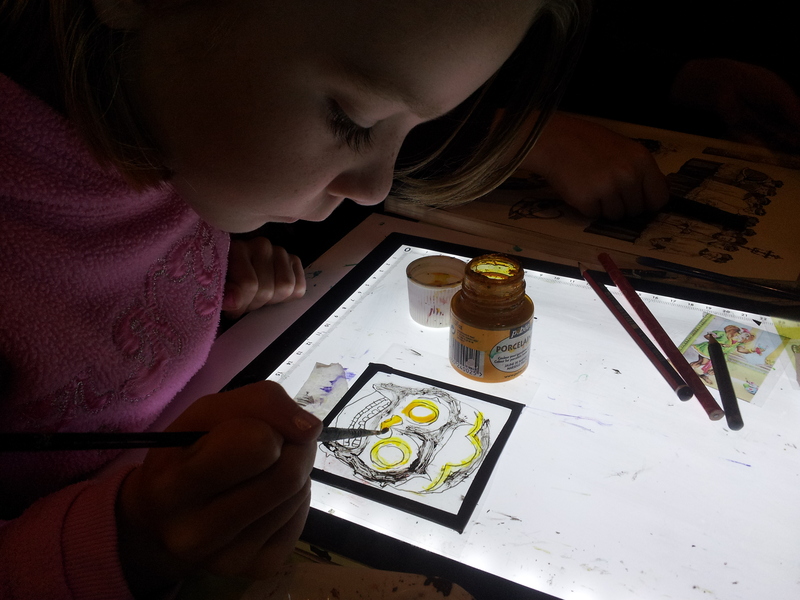 Some people learnt about Magic Lanterns and how they worked, whilst others had a go at tracing and painting their own slide. The afternoon was full of rich discussion surrounding the wealth of Heritage on Sheppey and how it inspires so much creativity.